MEM students toured the Fortune 500 company’s headquarters to learn about innovation. There are more than 35 companies in Illinois that appeared on the 2018 Fortune 500 list, with many of them located in the Chicago area. 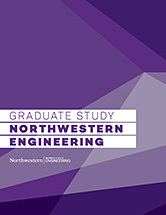 With so many innovative businesses in close proximity to campus, Northwestern Engineering’s Master of Engineering Management (MEM) program makes it a point to take students to these business’ headquarters to see and understand what makes them so successful. Earlier this year, students visited Motorola Solutions, one of the Chicago area companies on the Fortune 500 list. Afterward, current students Sivarama Raman and Lifei Xu talked about the experience, what they learned and what they think they’ll be able to implement to their lives moving forward. Why were you interested in participating in the Motorola Solutions tour? SR: It's a Chicago company with a great history, and they do some cutting edge work with city services throughout the country and the world. I was also interested to know more about the management transition after the mobility division was sold to Lenovo. LX: First, I thought this was a good opportunity for networking. I am an international student from China, and I feel that the skill of building relationships is as important as the knowledge I learn in the classroom. Secondly, I wanted to know how the company made strategic change in a highly competitive market. What are two or three things you learned from the experience? Continuous learning and innovation is key for any tech company to survive and succeed. Finding a niche in market is good. Motorola Solutions is the absolute leader in providing law enforcement with tech solutions. If a leading tech company misses key inflection points in technological developments, they will perish. LX: The first thing I learned from this experience is to be agile. The CTO mentioned that Kodak did something too well and that it failed to do the thing it needed to do, which was making adaptations to a changing market. I think all of us face changes in our lives, and we also need to be ready to respond to these challenges wisely. The second thing I learned is from their human resources manager. She suggested we be resilient and figure out what we want to do. I think these are truly valuable suggestions. What surprised you most on the tour? LX: I never expected that Motorola Solutions had made such great efforts on utilizing big data to help policemen fight against criminal activities. In my opinion, the company has shifted its focus from hardware to software. What, if anything, did you learn on the tour that you think you can apply to your school work or professional life moving forward? SR: A good team that works together succeeds more often than not. LX: I think the most important lesson I learned is to always prepare for change. The triumph you win today cannot guarantee success tomorrow. To make fine responses to challenges, we need to keep pace with the technical innovations and acquire new knowledge every day. Why do you think it's important for MEM students to be able to tour professional sites like this and talk with industry experts? LX: I think the company tour is a good way to help students get a direct impression of the working condition of big companies in the U.S. It also helps students know which qualities are highly valued by employers so that when they come back to school, they have a clear aim to work on.